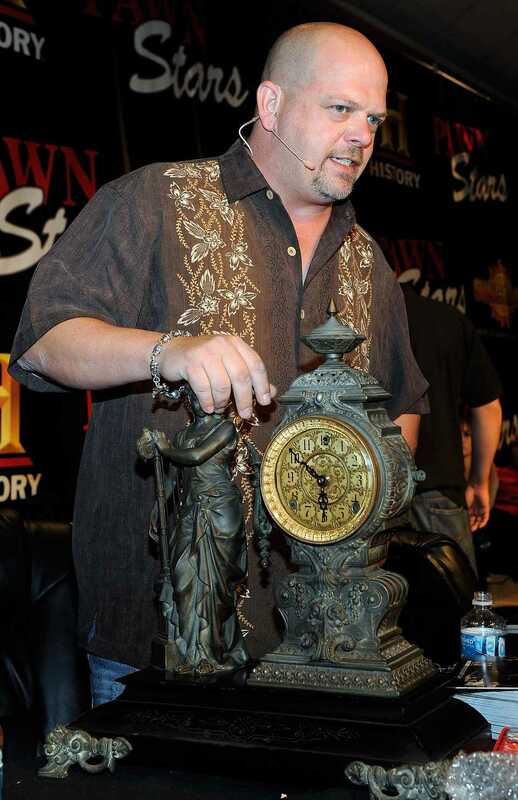 Those who regularly watch History Channel’s Pawn Stars see some really interesting antiques, collectibles, and historical items come through the doors of Gold & Silver Pawn Shop in Las Vegas, Nevada. Watching the owner of the shop Rick Harrison, his son Corey also known as Big Hoss, and Rick’s dad, “The Old Man,” evaluate items they’re contemplating purchasing or taking in for pawn can provide clues to successful picking. Not that they don’t make mistakes from time to time. That's all part of the business and learning is continual. If there’s one lesson Pawn Stars viewers should easily learn watching the show, it’s not to overpay for anything. Whether you’re bidding at auction, shopping in an antique mall or dealing with a neighbor who has a few old things to sell, determine the top price you’re willing to pay and stick to it. You have a little more leeway if you’re buying for your collection, as the Harrisons sometimes exhibit on the show. But if you’re buying for resale, try to reign in your emotions as much as possible and pay a reasonable price keeping the profit you’re planning to turn in mind. Most antique dealers pay one third to one half the price they’re planning to ask for an item, but will sometimes cut that margin just to have some great items to offer in their shop just like the pawn pros on the show. When you can't come to an agreement on price with a seller, simply thank them for their time and walk. That's a much better alternative than overpaying. One of the first rules of negotiating a sweet deal in the antiques business is to have the seller name the price. If they throw out a number lower than you were willing to pay, all you have to do is accept and happily fork over the cash. If their price is higher than what you were considering, you can easily make a counteroffer. However, if the amount they’re wanting to get for an object is unreasonably high right off the bat, be honest and tell the seller why you can’t pay anywhere near what they’re asking. Condition issues are one of the things you’ll likely have to explain to a seller if they’re asking a mint condition price for something in less than in perfect shape. People tend to see what they want to see when they think they have a rare antique and easily overlook wear, damage, and missing parts. Looking at each object with a critical eye and evaluating it appropriately will keep you from overlooking condition issues that minimize value. Sometimes after pointing out a flaw or other error they've made in valuation, the seller will walk away with the goods thinking you're wrong. Other times they'll come around to your way of thinking and accept your counteroffer. The Harrisons do this all the time, and to pick with success you’ll have to learn to talk frankly with potential sellers, too. Especially with extremely rare antiques or things that just seem too good to be true, question the authenticity of those objects. Don’t rush into a pricey deal without finding out telltale signs identifying fakes, forgeries, and reproductions to look for with any given type of antique or collectible. They don’t often show the Harrisons consulting books or doing research on the Internet, but they do mention it from time to time. Don’t be fooled into thinking that research to make profitable deals isn’t needed simply by the way the program is edited. That said, the chance that you’ll get the opportunity to evaluate items like some of the rarities that come up for sale on Pawn Stars is pretty slim. Most people who have those pieces in their possession know they need to go to a high-end retailer for an offer or obtain the help of a top-notch auction house when trying to move an item of that caliber. You can bet that many of the sellers you see on the show came through the door with their remarkable items hoping to use up a few of their 15 minutes of fame in addition to walking away with a fist full of cash. One of the great aspects of Pawn Stars is that it emphasizes the network of professionals the Harrisons utilize to evaluate objects ranging from rare signatures to old toys. There are many “generalists” in the antiques business, and they often consult with colleagues like Rick Dale, friends, museum curators, and antiques dealers they know who are familiar with objects beyond their own areas of expertise. If you haven’t already, start networking with others through collecting clubs, antiques dealers associations, and online groups to become familiar with individuals who can help you with varied objects when the time arises. They’ll be far more likely to assist you if they already know you or at least have being a member of a group organization in common with you. Be willing to do the same for others when they need your expertise on the pieces you’re most familiar with, too.